BIG SALE!! 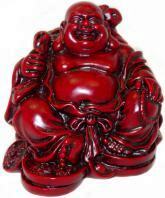 FENG SHUI BUDDHA STATUES BIG SALE!! Ho Tai is the deity of happiness, laughter, abundance, wisdom and contentment. This rosewood and gold smiling Happy Buddha figurine has elongated earlobes for wisdom, a large round belly that symbolizes happiness, good luck, and generosity. It is said that rubbing his belly will bring good fortune and joy. Hong Tze figurine made of stone resin with Rosewood and Gold finish. Hand painted Prosperity Laughing Buddha figurine stands on a large money bag (which never empties) and holds a large gold ingot (Yuen Bao) in his right hand. 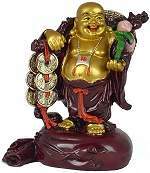 Gold Prosperity coins hang from Buddha's Yoke where he carries gifts for all he meets! 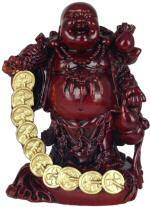 He boldly brings prosperity and riches to the home or business according to Feng Shui lore. 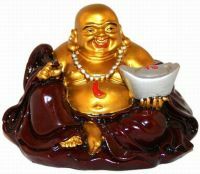 Colorful, hand painted solid cast resin Buddha statue has antique gold, silver and copper satin finish. This expansive Buddha sculpture from the Fujian Province of China boldly brings prosperity and riches to the home or business. Buddha stands on money bags, with gold Prosperity coins strung over his shoulder, but his true treasure is the joy of life that radiates from his happy face. 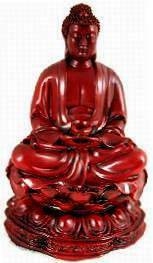 High gloss faux Rosewood Buddha solid stone resin statue with painted finish. 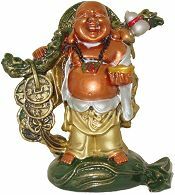 Hotai Happy Buddha figurine travels with a wisdom dragon combining power, prosperity, wisdom and good fortune. The dragon is an ancient and powerful Feng Shui symbol directing power and wisdom to the individual or enterprise. Hong Tze figurine in the traditional highly polished Rosewood finish. 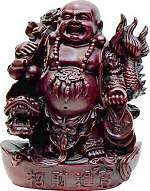 Hotai Happy Buddha figurine travels with a wisdom dragon combining power, prosperity, wisdom and good fortune. The dragon is an ancient and powerful Feng Shui symbol directing power and wisdom to the individual or enterprise. Hong Tze figurine in the traditional highly polished Antique Gold finish. Large meditating Ru Lai Buddha figurine seated on the Lotus Flower, symbol of the growth potential within us all to gain a higher awareness of self. Hong Tze figurine in the traditional highly polished Rosewood finish. 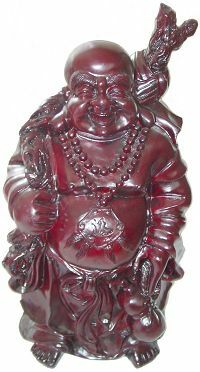 Huge 18" H Laughing Buddha figurine carries a large money bag (which never empties) hung on the Buddha's Yoke in his right hand and a water gourd for purity in his left hand. He brings success and prosperity according to Feng Shui lore. Place in the Wealth Corner, the far left corner from the entrance of a home or building for maximum wealth cure effect. High quality Hong Tze statue made of stone resin with a beautiful satin Rosewood finish. Artistic 11" H Thai Buddha Head reproduction on pedestal sculpture in faux antique bronze finish makes a stunning decorative piece. The authentic Buddha head statue has the ideal facial proportions of spiritual attainment as represented in Thai Buddhist Art. This antique brass satin finish, stone resin figurine is packed in a beautiful gift box. 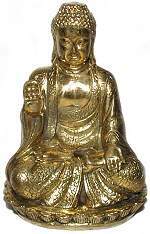 Antique Brass finish Zazen Buddha statue in the Japanese Zen tradition. In Zen Buddhism, Zazen is a seated meditative discipline practitioners perform to gain spiritual insight and enlightenment called Satori. 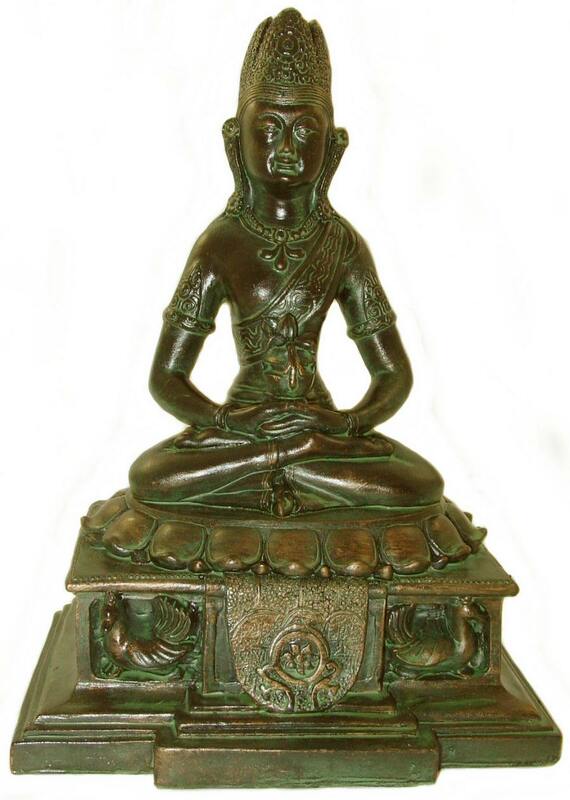 Beautiful replica of Zazen Buddha statue in intricate head dress atop a lotus cushion on pedestal with Zen symbols. 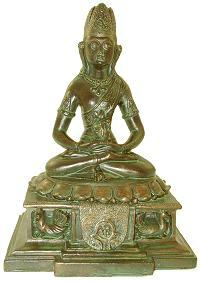 Hand finished figurine made of stone resin with antique brass and verdigris finish. Beautiful 3 deity portable altar of Kwan Yin, Shi Ga Buddha and the Dhyani Crown Buddha. They sit in the traditional meditation position, each atop a lotus blossom in front of an intricate Sacred Flame in bold relief. All are above a larger lotus and under a fiery sun depicting the Chi energy flowing through the chakras. Antique gold finish on stone resin statue is gift boxed. Exceptional Brass Buddha seated on the Lotus Flower, symbol of the growth potential within us all to gain a higher awareness of self. The right hand is raised in the Abhaya Mudra gesture of Blessing & Protection. 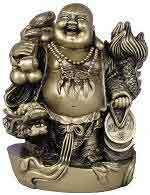 Exquisite polished solid brass sitting Buddha statue with subtle detailing hand made by Chinese artisans. This rosewood smiling Lucky Buddha has elongated earlobes for wisdom, a large round belly that symbolizes happiness, good luck, and generosity. He carries a large money bag (which never empties) and sits on large gold coins. It is said that rubbing his belly will bring good fortune and joy. High quality Hong Tze statue made of heavy stone resin with a beautiful satin Rosewood finish. This expansive Buddha sculpture from the Fujian Province of China boldly brings prosperity and riches to the home or business. Buddha stands on money bags holding a string of Gold Prosperity coins, but his true treasure is the joy of life that radiates from his happy face. High gloss faux Rosewood and Gold solid stone resin statue.